Life potentials Myers-Briggs Personalities: What are the Sixteen Personality Types? The Myers–Briggs Type Indicator represents psychological preferences in how people perceive the world and make decisions. It has 16 different personality types. Why are we so similar, and yet so unique? It’s fascinating that no two people are exactly alike. They may have similarities: From the books they love to read, to the activities they enjoy - but you will always find significant differences that sets them apart. Each one of us is unique, and what differentiates us is our preferences. You like cats, I like dogs. You love to party, I prefer to stay home and read. These preferences define our personality. When given a choice between two things, you will pick the one that’s more attractive and interesting to you. But how do you decide? What was the reason behind your choice? 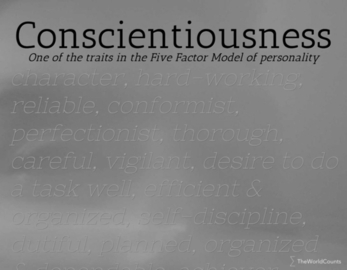 They all point to the type of personality you possess. 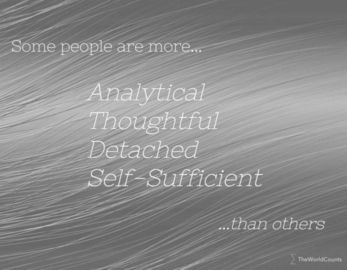 Each personality type has its own set of motivators. They dictate how you live your lives, and how you interact with the world and others. They are the reason for your desires, values, drive and interests. “The reality of life is that your perceptions – right or wrong – influence everything else you do. When you get a proper perspective of your perceptions, you may be surprised how many other things fall into place.” —Roger W. Birkman, Ph.D.
Take this Personality Test and know more about your unique personality. Increasing your self-awareness will help you improve your relationships, understand people, hone your leadership skills, and find the best career that’s suited to your personality. Discover how to use your strengths to create a happier and more satisfying life. 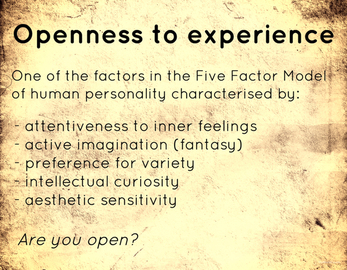 In another article, we discuss the Big Five theory of personality, which is another globally accepted personality theory. 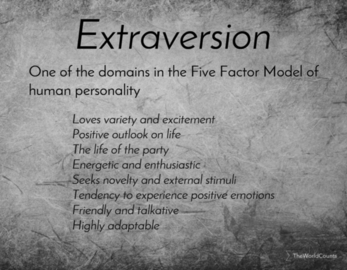 How does the Big Five differ from Myers Briggs? 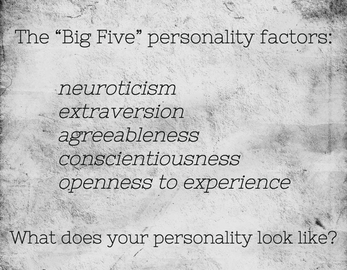 The Big Five gauges personalities in a scale. It suggests that we all have these inclinations inside us, one is simply stronger than the other, at different points in time. So, both of us may be Extroverted, but I could be more so than you – and this affects how we interact with everything around us. On the other hand, the Myers Briggs Type Indicator or the MBTI, which is based on Philosopher Carl Jung’s theories, looks at traits in an either/or point of view. If you’re not an extrovert, you’re an introvert. There is no scale, unlike in the Big Five. But, you can possess secondary or tertiary traits, which is what the letters mean. Each type is represented by letters. 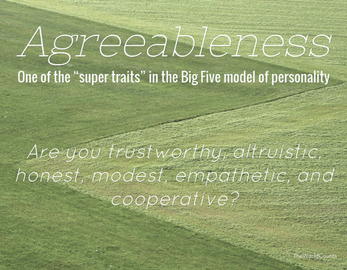 Studies conducted on the Big Five and the MBTI show that the results of their assessments have many similarities. 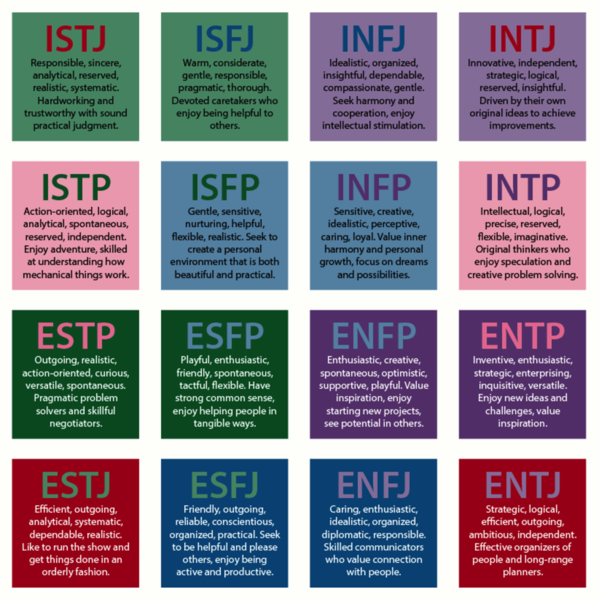 Let’s get an overview of the Myers Briggs Types. You will recognize yourself in the descriptions below. Based on what you find out about yourself, you can pinpoint your strengths and understand your motivations better. You can use this knowledge to succeed in whatever you take on. The types are called differently, but the 4 letters attached to them will always be the same. "Healers care deeply—passionately—about a few special persons or a favorite cause, and their fervent aim is to bring peace to the world and wholeness to themselves and their loved ones." INFP are visionaries and excel in fields which deal with possibilities. They are idealists, always looking at how to make this world a better place. They are more interested in exploring ideas of how things could be, rather than in practicalities. Of all the types, they scored the second highest in marital dissatisfaction, and the most likely to be discontented with their work. Among their personal values are creativity and autonomy. They can be found in occupations that deal with humanities, the arts, and writing. "Their capacity for intellectual and conceptual clarity gives INTJs both vision and the will to see it through to completion—leadership qualities that are prized in our society." INTJs are the most independent of all the Myers Briggs Types, and they’re proud of that independence. They’re problem solvers who loves a challenge and they can turn theories into actions. They analyse life based on what they see, and are usually busy with their thoughtful contemplations. They are selective in their relationships, and prefer the company of people who are intellectually stimulating. They enjoy logical reasoning, and will call out a logical inconsistency in a theory or belief. Of all types, they’re the least inclined to believe in a spiritual power. MBA students are comprised of a high number of INTJs, same with female business owners. They can be found in the scientific, or technology sectors, computer field or in the legal profession. This is the rarest type among women, and the 3rd rarest in the population. It ranks among the types with the highest income. "ESFJs are primarily concerned with the details of direct experience—their own, that of their friends and acquaintances, even the experience of strangers whose lives happen to touch theirs." ESFJs are the 2nd most common type of personality. They feel a sense of responsibility towards others and have a tendency to get involved with people and their problems. They’re the helpful kind and will go out of their way to lend a hand. They can be judgmental although with the best intentions, when they see people behaving in a way that causes conflict. This personality loves cooperation and harmony. They view the world in a simple way: Black or White, Right or Wrong – and believe that we can all get along if only we followed the rules of engagement. They value Social Order. You can find them organizing community events and charities, gossiping (they love talking about people), involved in religious organizations and in most endeavors which include people. They are all about contributing to a better society and helping to maintain social harmony. Among all types, they are most likely to be satisfied with their work, and have the highest stress-coping abilities. They also ranked highest in marital or intimate relationship satisfaction. Their lives are rich with interactions with friends and family. They will have jobs in the healthcare, education or religious sectors. "The ESTJs solve problems by expertly applying and adapting past experience. They like work where they can achieve immediate, visible, and tangible results." ESTJs are like your strict Big Brother or Sister. They know how to command a situation and take charge, making sure the desired results are achieved. These qualities make them sought after as leaders, and they will get to the top of any company they focus their attention on. 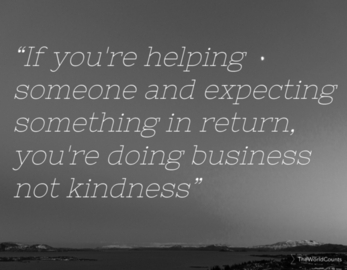 They look for standards, and will rise to meet them, helping others do the same. They combine their commanding attitude with their organizing abilities, and knowledge of what has worked in the past. They’re the ones you see in big gatherings telling people what to do like a shepherd tending their flock. It comes natural to them, this tendency to lead. They respect rules and authority, and will establish a hierarchy or structure if they don’t see one in place. Just like the ESFJ, social order is important to them – but ESTJs are more aggressive and commanding in their interactions. They score the highest on coping abilities, and 3rd highest on marital satisfaction. They are among the types who are satisfied with their work. Their highest personal values revolve around financial security, health, prestige and accomplishments. You can find them at home tinkering or doing repairs, watching or playing sports or involved in community service. "INFJs' nonstop search for learning, self-growth, and development—and wishing the same for everyone else—makes them very reassuring to others and people worth emulating." INFJs have a dream of a perfect future, and this is regardless of how things are today. They envision it, and they may be discouraged by current situations, but they will still do what they can to bring that future into reality. They are extremely idealistic, positive, and motivated. They are highly intuitive and can sense people’s problems and needs even before they know it. They have a talent in helping other people reach their high potentials. But INFJs have a complex inner world, and they don’t share this with people they don’t trust. They’re private, and they protect their value system with surprising intensity. They will withdraw from anyone who doesn’t respect their values. INFJs are the rarest type of personality. Some of their highest values include Spirituality, Community Service and Learning. 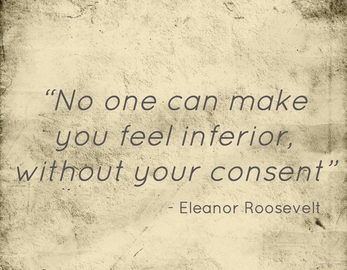 Some famous INFJs include Florence Nightingale, Carl Jung, Mohandas Ghandi and Emily Bronte. ENTJs are leaders, possessing the qualities required of company presidents and CEOs. They have the ability to see the broad picture, identify the problems and implement a perfectly viable solution. They give importance to competence and knowledge, and have little patience for disorganization. They are wonderful speakers, articulate and eloquent, which makes it easier for them to share their vision to others and make them agree and follow. Their drive is towards making thing better than they are, and they are exceptionally skilled in management and organization. ENTJs are one of the most common types of personalities, but is the rarest type in the female population. They are almost always satisfied with their work. They believe in their accomplishments and take credit for that alone. They are the least likely to believe in the spiritual. Their personal values center on home and the family, achievements, creativity and learning. Some famous ENTJs include Douglas McArthur, Napoleon Bonaparte, Margaret Thatcher and Harrison Ford. "Performers radiate warmth and festivity, and whether on the job, with friends, or with their families, they are able to lift others' spirits with their contagious good humor and their irrepressible joy of living." ESFPs have an enthusiasm for everything around them that is difficult to disregard. They are the life of the party, and excel in social situations. They like being the center of attention and they attain this in a good way. Having a good time and encouraging people to get out of themselves ad enjoy, makes them popular. They are sensual, and takes pleasure in everything they feel, hear, see, taste, smell and touch. Since they get so much fun out of life, they are involved with different things. They live full lives and appreciate every moment of it. Although fun-loving, ESFPs are practical and observant. They can see how things are and can identify people’s needs. They are not self centered, albeit their carefree nature. They will help out a friend in need, especially if the solution is to help them have fun! Some famous ESFPs include Elvis Presley, Marilyn Monroe, Paul McCartney and Elizabeth Taylor. "With a basic built-in restlessness, these are they hyperactive 'doers,' who like to keep their hands in a variety of pots, churning as much as they can to keep everyone on their toes and to keep life exciting." ESTPs prefer “doing” than anything else. They need to do something with their boundless energy. They are gregarious and can be very entertaining, but after they’ve had their moment, they’ll move on to something else. 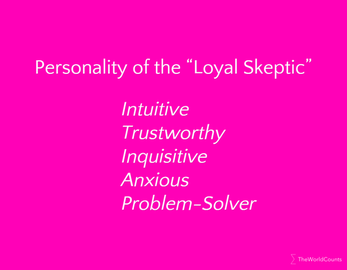 This personality type is not interested in deep and profound interactions – but in action. They will chat, talk, joke and flirt with a crowd, but never stay long enough to get serious. ESTPs prefer light and silly situations over serious ones. They love sports and adventure, especially those with a touch of danger. It’s hard to pin them down, and they can get easily bored when they’re not doing something exciting. They choose jobs that don’t keep them tied down to their desks, and ones where they are not restricted by too many rules. 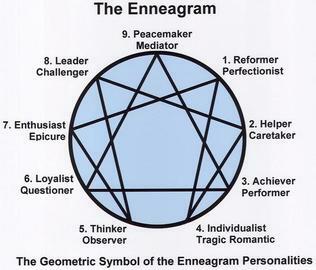 "When an ENFJ is present, no matter what the product or mission, the people involved will be important and the human dynamic will be made a central part of the process." An ENFJs focus is helping people learn and grow. They are natural mentors, and like the ESFJ, they have a vision of a better world. They recognize potential and they are willing to lead people to self-development. 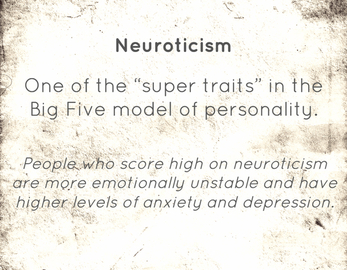 Due to their charismatic nature, ENFJs are well liked. You can’t help but want to be in their good graces. This makes the ENFJs job easier. They have the ability to use words to connect with people and encourage them to seek growth. They have the tendency to become overinvolved with people’s lives. 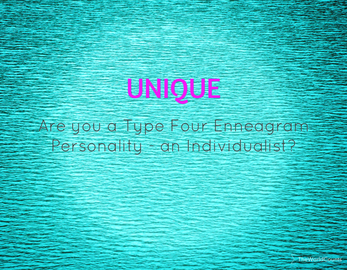 Unlike the other types similar to ENFJ, they have no trouble sharing their thoughts, opinions and feelings. They enjoy all forms of expression. Their optimistic nature can prove to be their downfall. Expecting too much from people, they can easily get hurt and disappointed when people turn out to be less than what they expected. They are active and valuable members of the community, their family, and other social groups – encouraging people to be the best and create a better world. ENFJs have the highest tendency to believe in a higher spiritual power. They can be deeply religious people. Their focus in life are Education and Learning, Friends, Community Service and Friendship. Some famous ENFJs include Pope John Paul II, Martin Luther King, Jr., and Oprah Winfrey. ENTPs are not afraid of unconventional thinking. Curious by nature, they can think outside the box. 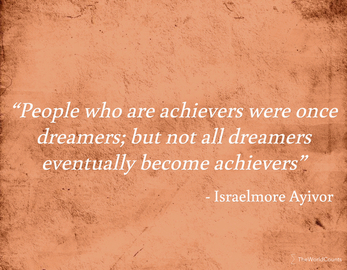 In fact, they are inspired by what others perceive as impossible to accomplish. They love a good challenge. They are confident of their ability to adapt to a situation, and seldom makes plans. Plunging into situations right away, and learning how to swim afterwards. The normal and the standard bore ENTPs. They believe in the saying that there are two ways to skin a cat… or three or four. Quick-witted, ENTPs are playful and likes to joke around… at your expense, unfortunately. Otherwise, they are friendly and use their cleverness to impress people. You will usually hear them sharing a new idea or concept, and it would be hard not to be infected with their enthusiasm. However, they often get stuck in thinking rather than doing. ENTPs scored highest in the ability to cope with stress. They also rank high on types with the highest income, but also on work dissatisfaction. They can be found in management, science, and the arts. Anywhere where creative thinkers are welcome. Some famous ENTPs are Walt Disney, Steve Jobs, and Leonardo da Vinci. "These ISFJs derive a great deal of satisfaction from caring for others, and they offer their comfort gently and helpfully, quietly seeing to it that caretaking is scheduled to protect the health and welfare of those in need." ISFJs aim to help others, that is their calling, and it’s where they find meaning and happiness. They are unassuming and humble, keeping a low profile at all times. 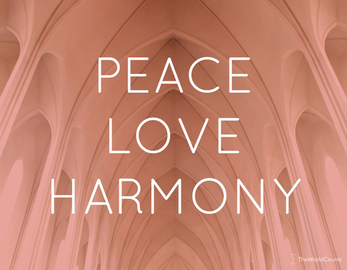 They value relationships and do their best to avoid conflict and attain peace and harmony. They very seldom rub you the wrong way. They appreciate history and tradition, and sticks to tradition and long established customs. They don’t want to make waves, but rather fit in while doing what they can to contribute to the common good of humanity. They are the bleeding hearts who finds satisfaction in being of service to others. While compassionate and a good listener, ISFJs are private people and don’t open up easily to people they don’t trust yet. They enjoy talking about what they’ve encountered or share their own experience when asked for advise… and they will take the time to get to know people personally. You’ll find ISFJs gardening, writing, doing nature walks, or happily supporting their loved ones. They are into family, health and the spiritual. Most believe in a higher spiritual power. At work, they ranked as one of the types with the lowest income. Some famous ISFJs include Mother Teresa, Rosa Parks, and George H.W. Bush. "ISTJ is a no-frills, work-hard, play-hard type. They are seen as compulsive, hard-charging, capable, and true to their word." ISTJs are responsible and highly dependable, and they play by the book. It is the most common personality type, more so among the male population. Their focus is on doing their duty, and they have a high respect for traditions and regulations. Although mostly Introverts, they are not solitary creatures. They know where their place is in the world, and they do what they must to deliver what’s expected of them and meet standards. You can often find them in jobs which are responsible for social order or where everything is done following a set of rules. 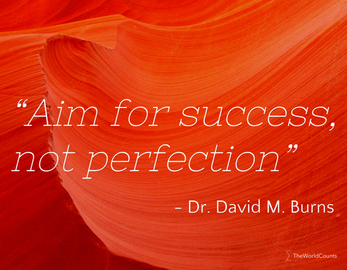 You can call them perfectionists, paying close attention to the fine print, and making sure everything’s in order. They may not be the creative innovators of the world, but ISTJs strive hard to bring some order in their own personal lives and communities. They are often found in the military, law enforcement or financial industry. They can be great managers and administrators. Some famous ISTJs include Warren Buffett, Queen Victoria and J.D. Rockefeller. ENFPs are all about understanding people and the meaning of things. They consider the search for happiness as a priority. They are people centered, and welcome relationships with depth and emotional intensity. They love to dream, and are curious and interested in other people’s dreams too. They prefer discussing creative possibilities, rather than the dry and boring realities of life. The ordinary and the commonplace are not for the ENFPs. Their heads are high up in the clouds, and they might seem disorganized and unreliable. They belong in the broad realm of dreams and have no desire to dwell on details. But they sure know how to weave words and are enthusiastic and great influencers. ENFPs are often artists, engaged in writing, playing instruments, creating music and other forms of self-expression. They interact with the world around them through their feelings and intuition, and would have a lot of interests. Some famous ENFPs include Alicia Silverstone, Robin Williams, Mark Twain, and Drew Barrymore. "INTPs are free-spirited idea mills and absentminded professors, which makes them fun to be around, easily diverted, and a plethora of unending creativity." Slightly similar to the ENFP, the INTP also lives in the realm of thoughts. They hate the superficial. Their difference with ENFPs is that they are thinking about theories, trying to understand the universe and how everything around them works. They’re not wrapped up in dreams and fantasies. They are very intellectual, and enjoy logical debates. They are articulate and can express their ideas quite effectively. But they tend to be unsociable, in the sense that they don’t really give much value to social niceties. They also tend to offend people, when their deepest beliefs and values are examined under an INTPs scrutiny. INTPs value individuality, independence and freedom. They enjoy playing strategy games, exercising their intellectual muscles. Loves computers and science and technology. INTPs rank highest in job dissatisfaction. "It is this type more than any of the others whose style it is to stand by another person (or plant or animal), with no intention to influence it, criticize it, or change it—perhaps not even to interact with it—only to be in its presence." ISFP are lovers and seekers of aesthetic beauty. They are so attuned to sensory stimulation and are natural artists. They are non-judgemental and tolerant of people, preferring to accommodate rather than make waves. They have trouble dealing with abrasive and argumentative people, since they avoid conflict. They are not leaders, preferring to be in a supportive role where they are far from the spotlight – and far from accountability. They may not want to take the lead, but they will do whatever they can to help out. They are not very talkative, and tend to how their feelings through their actions. At times, they are misunderstood and thought of as cold and uncaring because they don’t say the right words. ISFPs excel in the arts. They may even dress differently, as a form of self-expression. 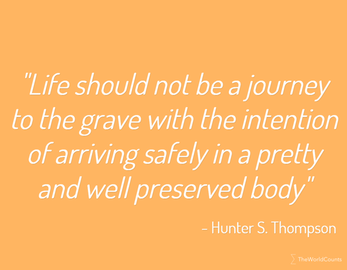 They experience the present and do not have high ambitions, preferring the simple pleasures that life has to offer. Of all types they are the most likely to be stressed by finances and children. Some famous ISFPs include Michael Jackson, Mozart, and Barbra Streisand. "Though very effective at most undertakings, [the ISTP's] unorthodox way of accomplishing something, coupled with low visibility, can often lead to co-workers' wondering, to quote the people the Lone Ranger saved, 'Who was that masked man?'" ISTPs find logic and order in technology, and would rather spend hours with them rather than deal with human complexities. They are very skilled with their hands, and can often be seen around equipment and machinery. They prefer to understand the practical application of things and how they can be used. They are distant and reserved, spending most of their time observing. However, they are not uncaring and will respond to a need as it arises. They would rather act and fix things, than talk. In relationships, they appreciate a partner who’s not clingy and will give them the space they need. They enjoy risky sports and thrilling adventures. They give importance to independence, achievement, autonomy and stability. They can be found in the technical and technological sectors, skilled trades, or in the military and law enforcements industries. Some famous ISTPs include Bruce Lee, Tiger Woods, and Amelia Earhart. Authoritarian and forceful at influencing people. To master the tool of their interest, ISTPs require a certain degree of seclusion in which to practice. The result is often a virtuosity that other types find difficult to match. 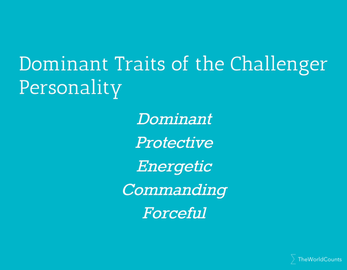 Have you identified your personality? 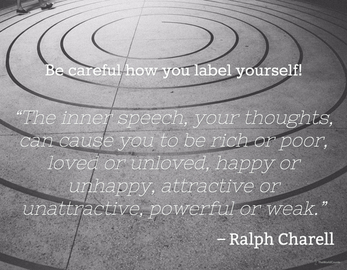 Do you think that by being aware of your tendencies and preferences, you can control them and work towards happiness and success? 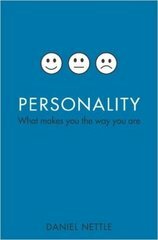 What does your personality look like? Read more about the Big Five Model of personality in the book "Personality: What Makes You the Way You Are" by Harvard graduate Shawn Achor.